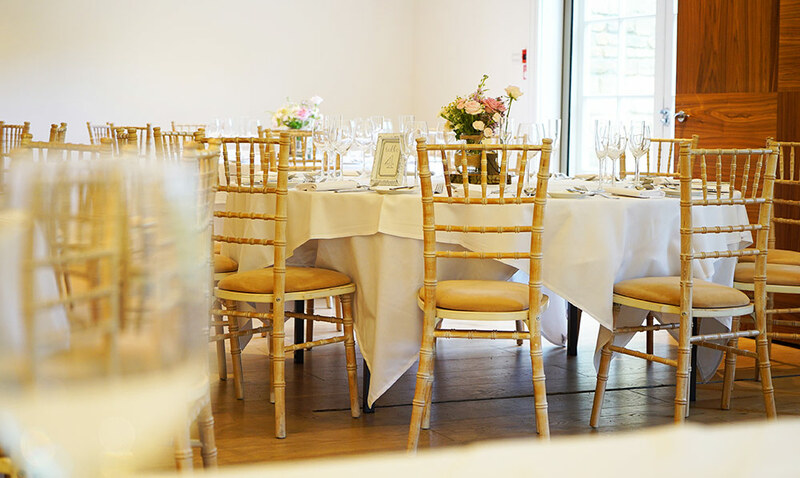 Available in limewash and mahogany our elegant chiavari chairs are a great seating option for weddings at The Cotswold House Hotel and can be used for both ceremonies, wedding breakfasts and evening receptions. 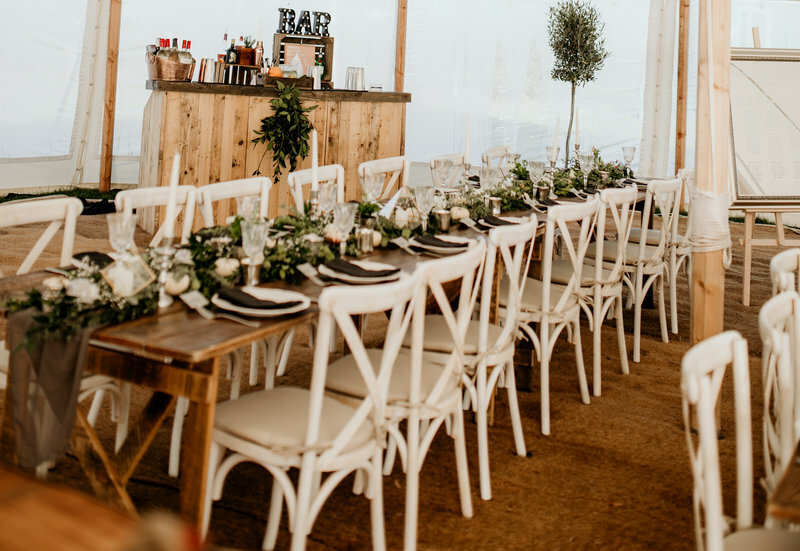 New for 2018 - our stackable whitewashed oak crossback chairs come with a linen tie on seat pad. 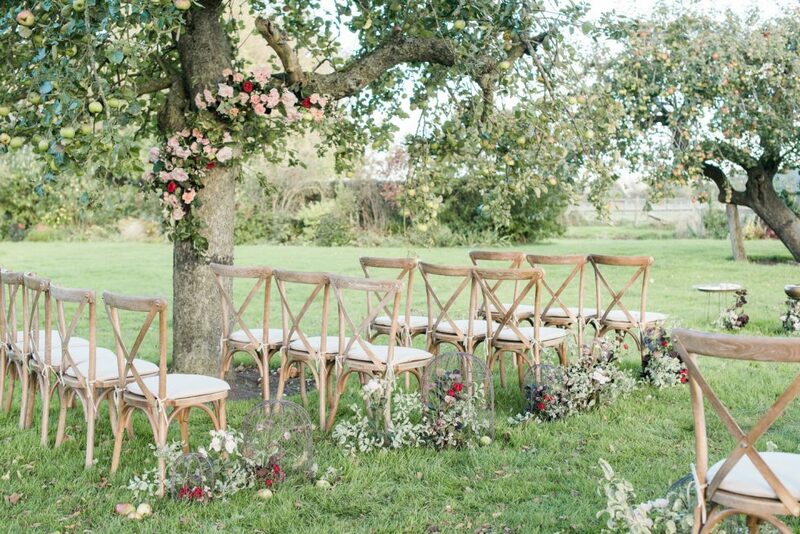 New for 2018 - our stackable rustic oak crossback chairs come with a linen tie on seat pad and are great for rustic/country inspired weddings and events. 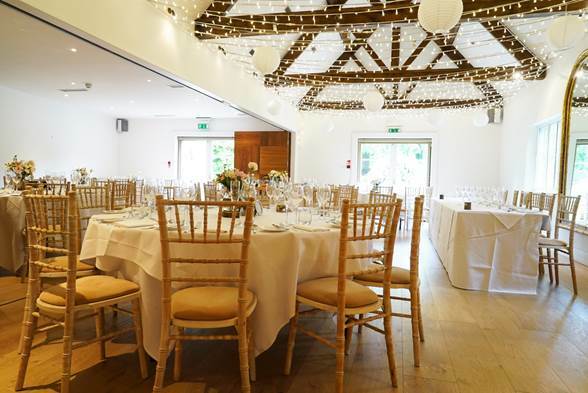 If you are interested in hiring fairy lights, letters or furniture for your wedding at The Cotswold House Hotel get in touch to let us know the items you are interested in hiring – we can be phoned on 07786 328846, emailed at info@bluegoosehire.co.uk or use our contact form HERE. Once we’ve got your enquiry we will email you an itemsed quote along with details of delivery and collection timings. Once you’ve received our quote we won’t follow it up but are available to answer any questions you have by phone or email.